Ian Murdock – the ‘ian’ in Debian – was found dead at his home in San Francisco on Monday. The cause is yet unknown. Murdock was an integral figure in the open source movement. His Debian Project – and his work at Docker – were groundbreaking. Announced in 1993 and released in 1996, Murdock named the distro after his then wife, Debra, and himself. Debian, created while Murdock was an undergraduate at Purdue University, gave birth to tools like apt-get, an installation system that streamlined open source packages. Murdock worked at Sun Microsystems and was the CTO of the Linux Foundation. Most recently he worked at Docker. “We consider ourselves lucky to have known Ian and worked with him. He amazed everyone whom he worked with for the depth of his thinking, passion and experience. He was truly brilliant and an inspiration to many of us; his death is a loss to all whom he has known and touched,” wrote Docker CEO Ben Golub. Details of the death have not been confirmed but according to Twitter logs Murdock appears to have had an altercation with the police and then returned home where he posted a final tweet, since deleted, claiming that he would commit suicide on December 28. 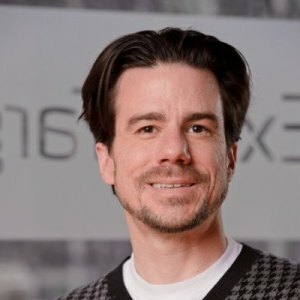 ￼With a heavy heart Debian mourns the passing of Ian Murdock, stalwart proponent of Free Open Source Software, Father, Son, and the ‘ian’ in Debian. Ian started the Debian project in August of 1993, releasing the first versions of Debian later that same year. Debian would go on to become the world’s Universal Operating System, running on everything from embedded devices to the space station. Ian’s sharp focus was on creating a Distribution and community culture that did the right thing, be it ethically, or technically. Releases went out when they were ready, and the project’s staunch stance on Software Freedom are the gold standards in the Free and Open Source world. Ian’s devotion to the right thing guided his work, both in Debian and in the subsequent years, always working towards the best possible future. We will update if and when more details become available.